AYODEJI ROTINWA is a writer, journalist who covers the arts, culture, politics business and human interest stories across Africa. 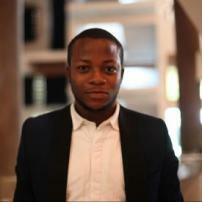 He is currently the lead features writer and correspondent at national daily, This Day (Style) Newspapers. He frequently contributes to and has been published by respected national and international publications (print / online) such as Forbes (Africa), This Is Africa. Interested in arts administration as well as creative output, he recently served as Communications Manager / Curator for leading contemporary art space, Rele Gallery. President Jammeh of Gambia Refuses to Step Down After 22 Years and an Election He Lost.